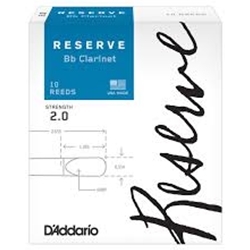 A traditional blank clarinet reed that offers a focused sound, a shorter vamp for even response, rounded tip corners for tonal warmth, and a standard tip thickness for quick response. These reeds are engineered for exceptional performance and consistency, and are ideal for the advancing student and professional. D'Addario reeds are expertly designed and made in the USA from naturally-grown cane from D'Addario's own foreign fields.